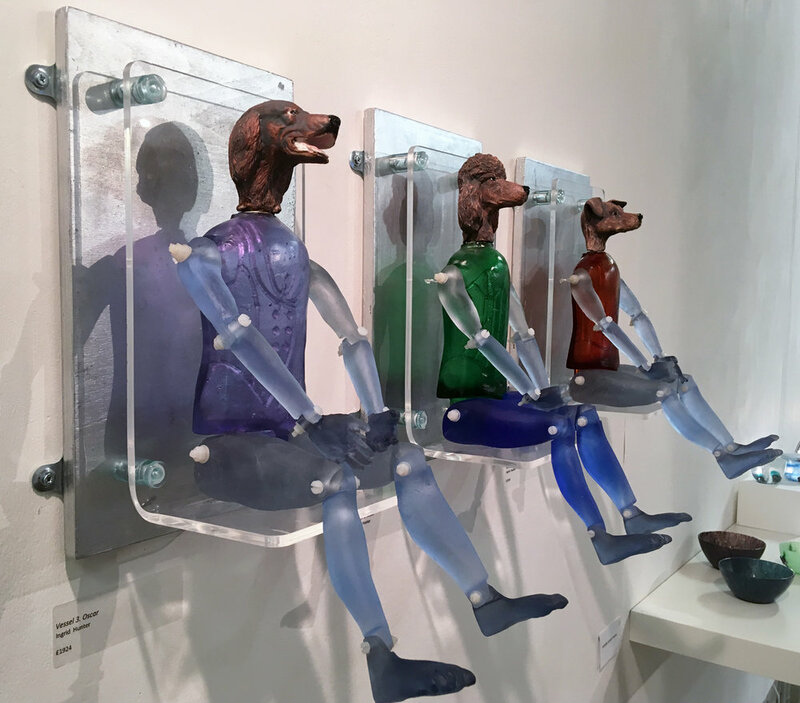 These are a series of Glass Core Cast Puppies with Porcelain dog heads. Their bodies are core carved inside and hollow to fill with your favorite scent. This is a trinket box and the elephant is a scent bottle with a bird as the stopper. 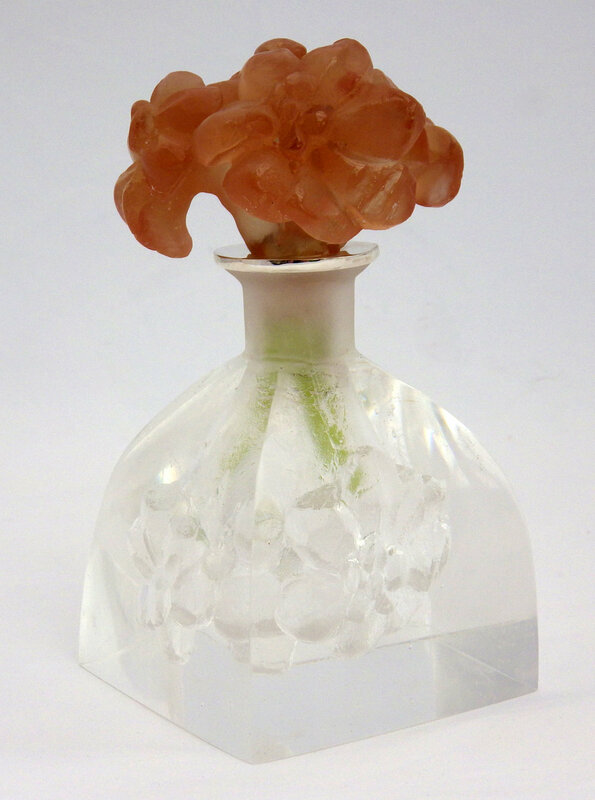 The interior of the scent bottle is a flower and represents the stopper. 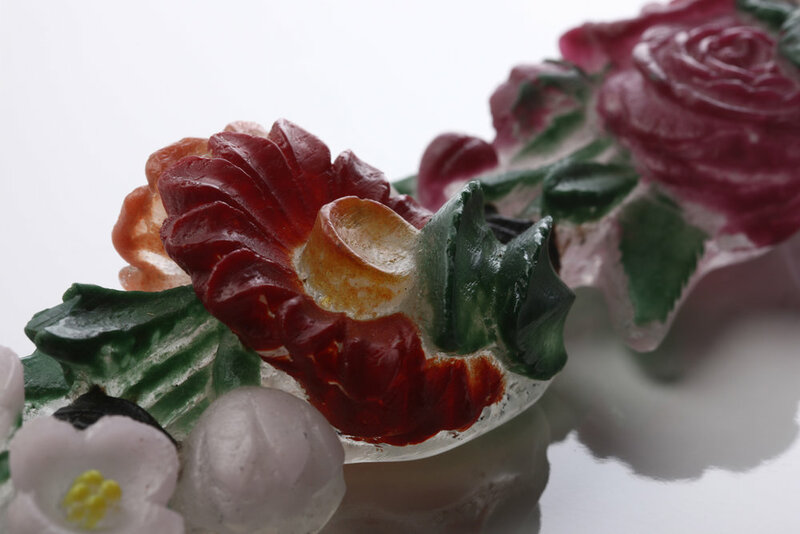 It is core cast and kiln cast glass. The rim is protected with a silver lining. 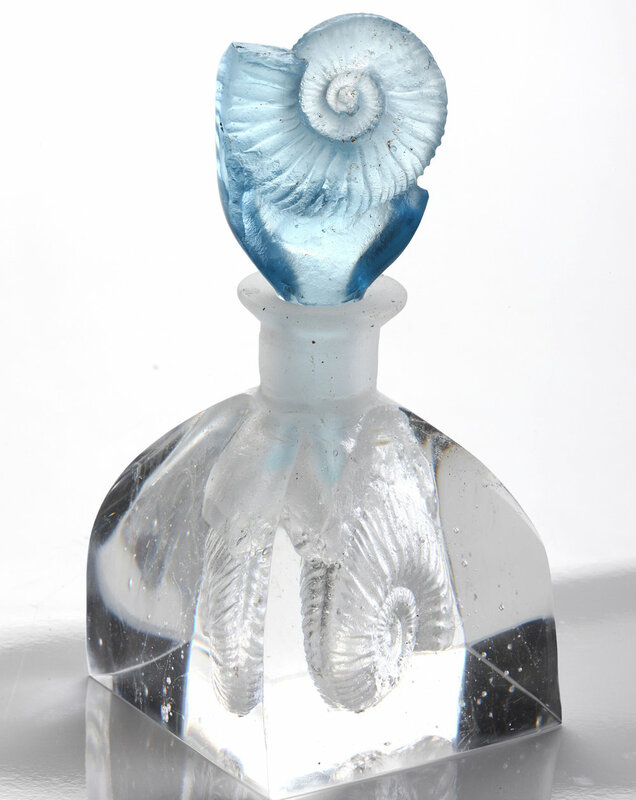 The interior of this scent bottle is a hollow ammonite and represents the stopper. These sweet vessels are cast, lost wax and kiln cast. This vessel has a pierced rim. Lost wax, sandblasted and gilded birds. 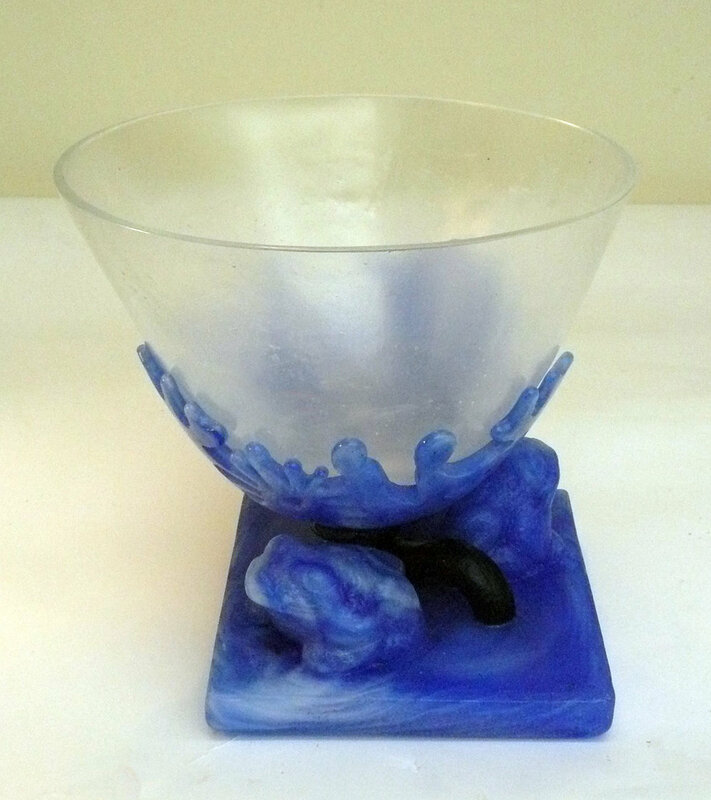 This is a hand carved core cast vessel with a dog as the stopper. 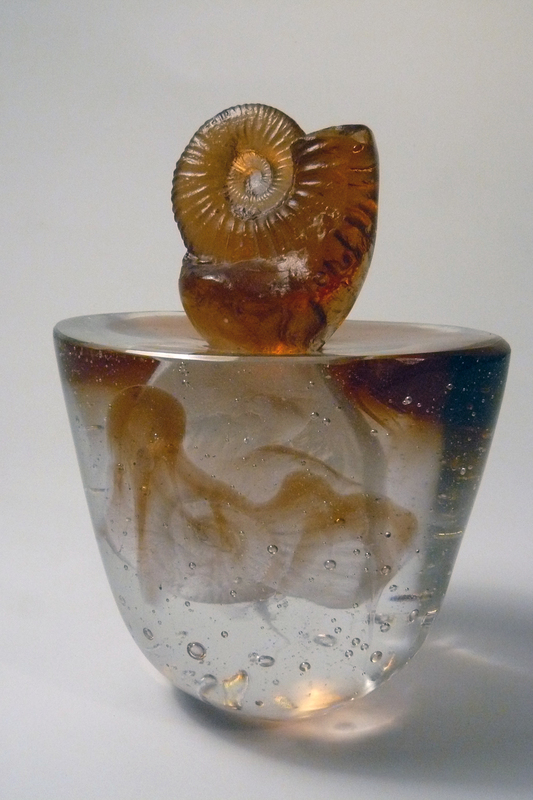 The interior of this vessel is the shape of the ammonite and replicates the stopper. 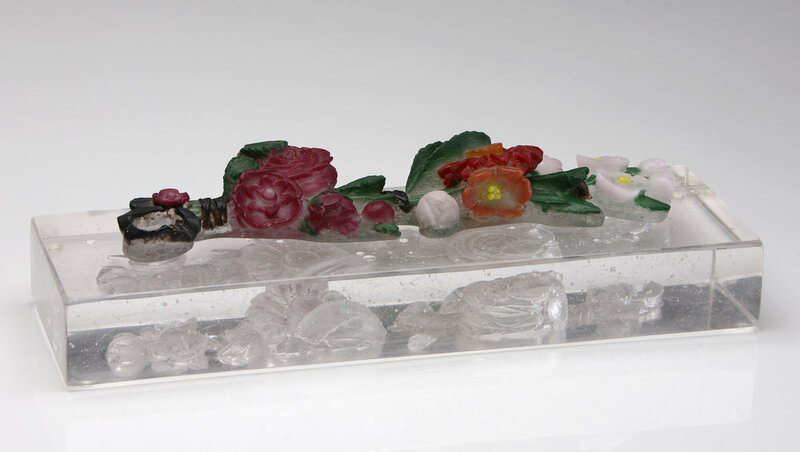 These mirrors are taken from a gilded rococo frame.